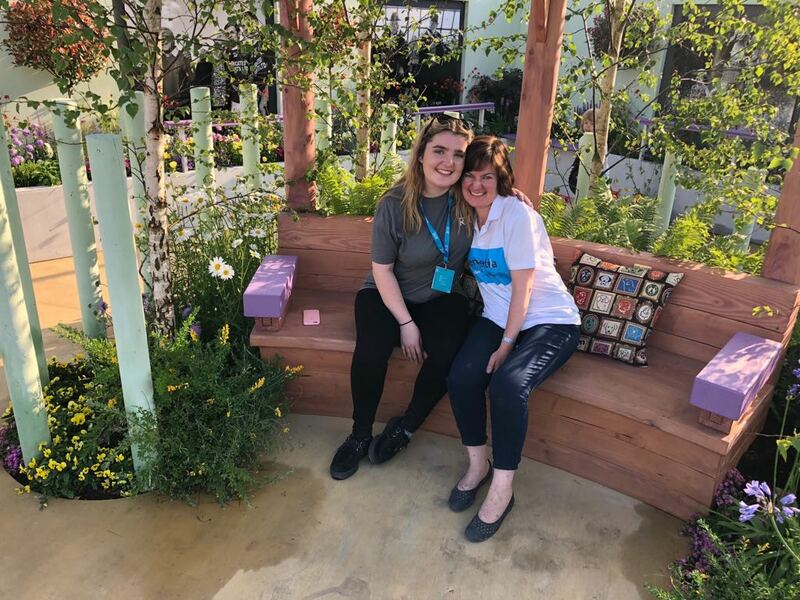 Bloom, supported by Bord Bia, would run for the next five days, hosting an array of family fun, from GIY (Grow it Yourself) stalls with tips for gardening beginners, to the main attraction of the Show Gardens, and lots of incredible stalls selling everything from gelato to fairy doors. 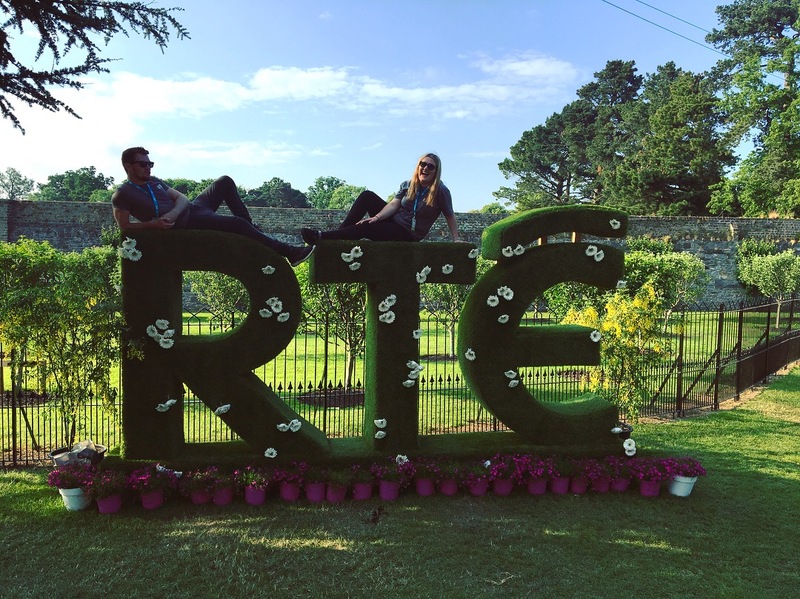 RTÉ had once again planned an incredible schedule of programming, and with a large RTÉ tent serving as a studio and stage for the weekend to come, there was a definite buzz from the public surrounding the tent. Thursday morning kicked off with the popular Marty in the Morning on Lyric FM coming live from Bloom. For the next five days the RTÉ tent was always a hub of activity, with members of the public delighted at the prospect of watching their favourite voices from radio live, and maybe even getting a wave and picture. The Production People had staff working at the tent for the full festival, assisting in anyway they could. 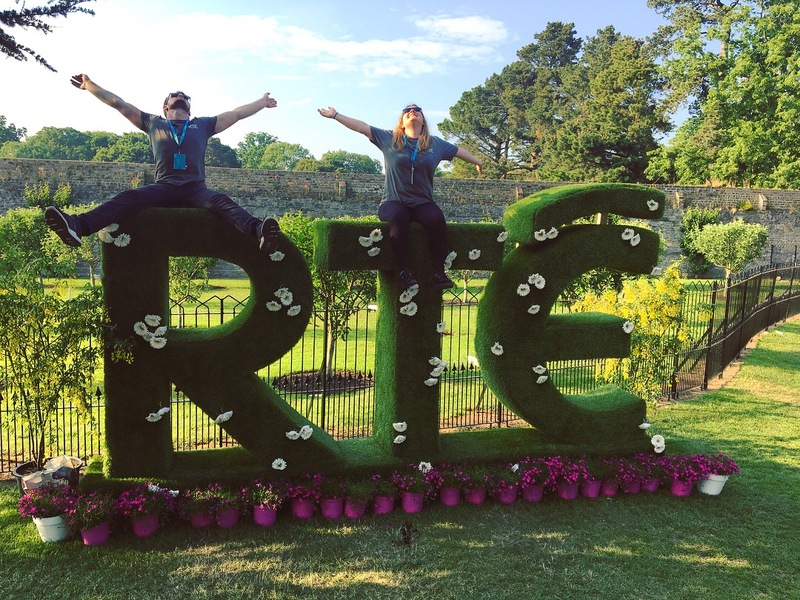 I was one of the lucky people to spend two days at Bloom with The Production People, and armed with my media pass and headset I was ready for a busy few days. Working under Joseph Hoban, Head of Communications for RTÉ, and some of his incredible team, we got to see first-hand how excited the public truly get at the prospect of free merchandise from the national broadcaster. We had bags, pens, stickers and goodies from RTÉ Junior to give away, much to the excitement of the nearly 120,000 people that came through the gates at Bloom. Our days were spent giving away free merchandise, helping out in the tent with set up, and encouraging people to sit into the tent and enjoy. There was a large array of programming, with the wonderful Lyric FM Quartet led by Evelyn Grant providing live music, and different programmes live from Bloom like Liveline’s Funny Friday on RTÉ Radio One, Afternoon Gold with Rick O’Shea on RTÉ Gold and The Full Score with Liz Nolan on RTÉ Lyric FM. I think I can safely say that I have never given out more bags in my entire life and met with such enthusiasm. It was incredible to see how much everyone enjoyed taking photos with our special Bloom logo, getting something as small as an RTÉ tote bag or Lyric FM pen, and how willing people were to get involved with the presenters. From a personal perspective it was wonderful to have an opportunity to see how RTÉ organise and run such a large scale event, from the selection of programmes that were live, both on radio and television, to giving out merchandise and how successful that was from a marketing perspective. Working at these events can also provide you with the opportunity to speak with different members of staff that you might not get to otherwise get to. I was lucky, as my mother was part of the design team that designed the Moments in Time Garden for the Dementia: Understand Together campaign which was featured on Sunday with Miriam on RTÉ Radio One, which allowed me to see Bloom from a different perspective, and truly understand how important the work that RTÉ does by highlighting gardens, and what a difference that can make. Overall, working at Bloom was a different and unique experience, that allowed me to see a side to working in media that you would not always get to see, and I can’t wait for next year!